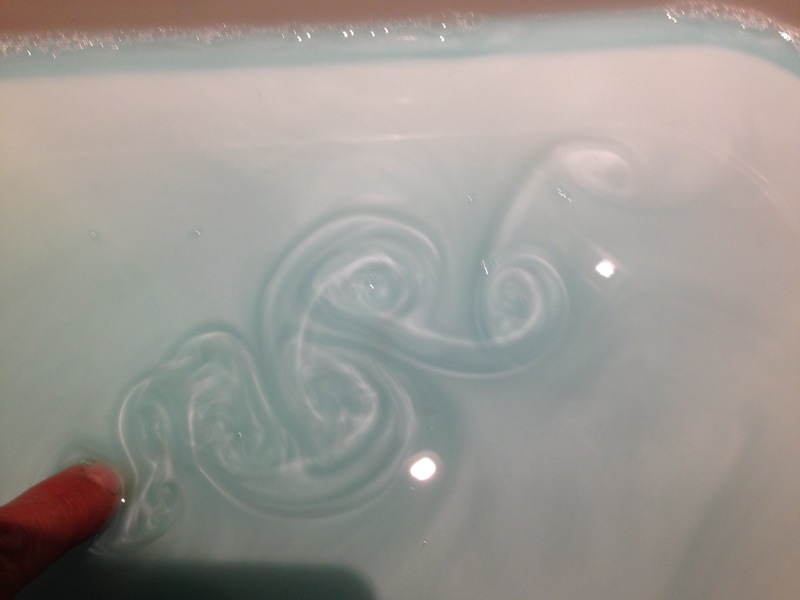 Use pearlescent soap and colouring to visualize the swirls and movement of water. 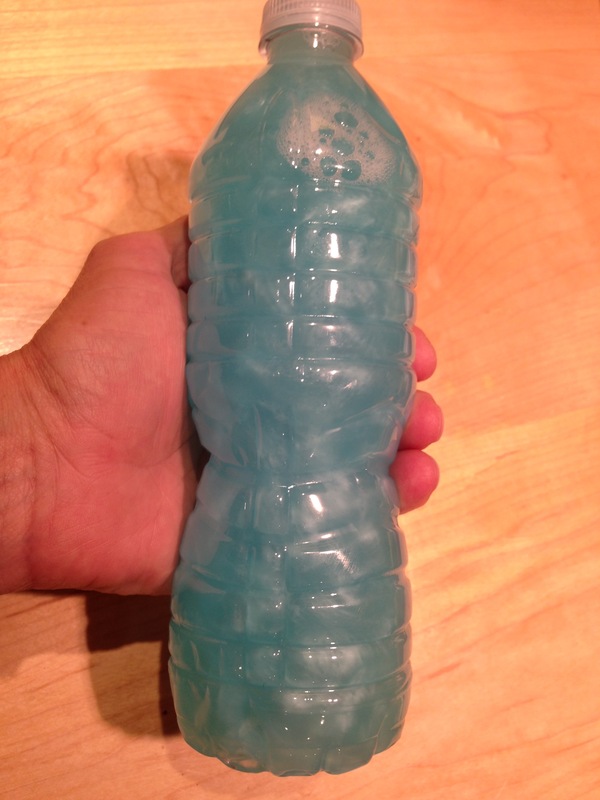 Mix 3:1 water:soap in a bottle or tray, gently to keep bubbles to a minimum. Add a couple of drops of food colouring. Move the water around: tip the bottle back and forth or drag a finger through/blow on water in the tray. 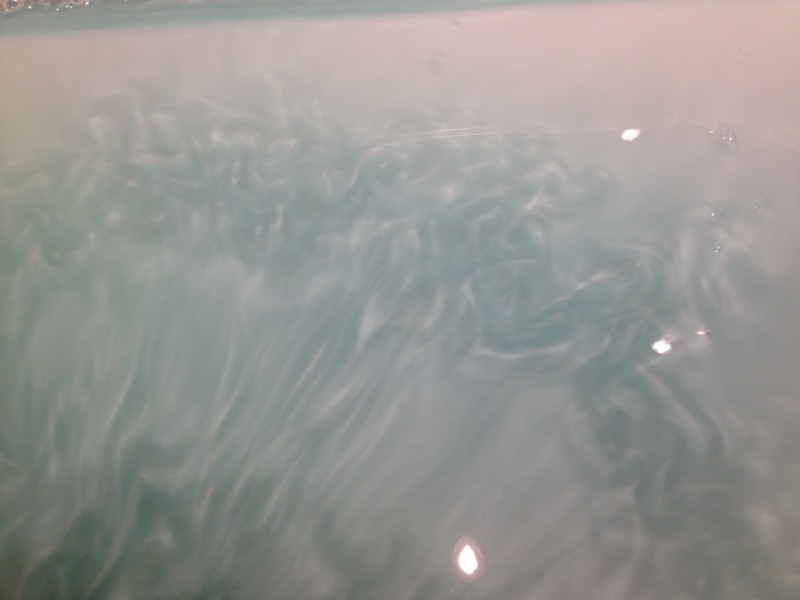 The pearlescent particles show the movement of the water. 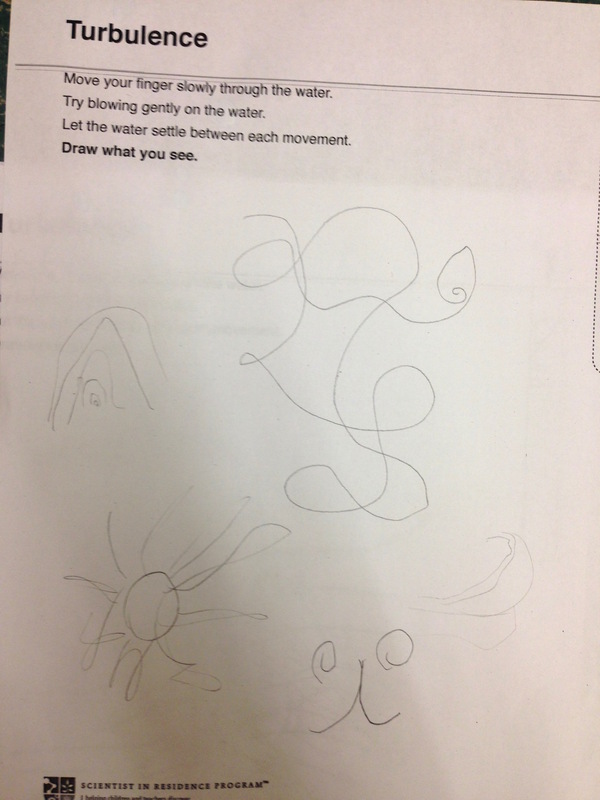 Watch the swirls (turbluence) in the water, and find the sometimes unexpected patterns that result from water flow. In the ocean, tides and winds push the water around. Obstacles such as land or underwater mountains create turbulence as the water hits them. All this movement of the water, much of it turbulent and moving in complex patterns, both on a large scale (e.g. along a coastline) and small scale (e.g. around a reef) churns and mixes the oceans' water. See http://naturedocumentaries.org/839/perpetual-ocean-nasa/ “Perpetual Ocean from NASA” for excellent video of turbulence patterns in the world's oceans. Water movement brings food to animals that can't move, and moves nutrients and heat around. Some animals use these ocean currents to migrate: Loggerhead turtles migrate from Florida to the open ocean (where the young are safer), then return as adults. Atlantic Leatherbacks travel from Indonesia to Nova Scotia to feed on jellyfish. Pacific Leatherbacks have the longest migration on Earth: they are born in Japan, migrate to Mexico to feed on crabs, then head back to breed, nest. The Green Sea Turtle rides the East Australian Current, though does not go out into the open ocean (Crush in Finding Nemo). The bottle is less messy, but you have less control over the patterns, and they are not as interesting. Tray recommended if the set up/clean up can be dealt with.